You don’t need a map to know where you’re headed. 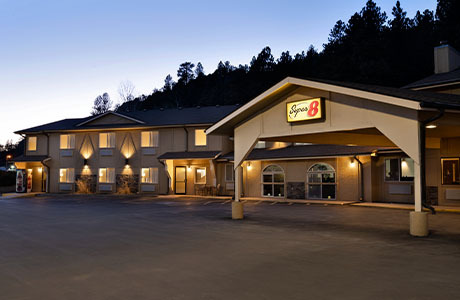 Wherever your spirit takes you, just follow the signs to Super 8 Custer, your basecamp in the Black Hills. 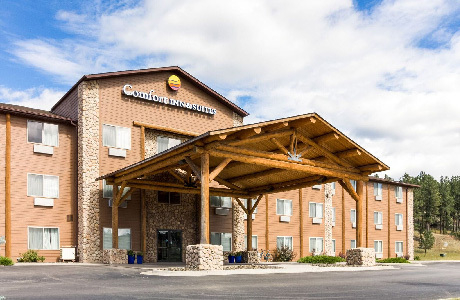 We share your passions and the soundtrack of your travel, and when you’re here you can depend on us to leave you refueled for the day ahead because in Custer you’re literally minutes from every must-see and at the Super 8 Custer, your centrally-located to restaurants, shopping and local entertainment. We’ve updated our look at our Super 8 to give you a high-touch local vibe. With style and comfort in mind, our redesigned guest rooms make Super 8 your reliable roadside companion without breaking the bank. In your newly renovated room you’ll find beautiful photography of Mt. Rushmore, Crazy Horse, Custer State Park and more local favorites. Yup, we love local. 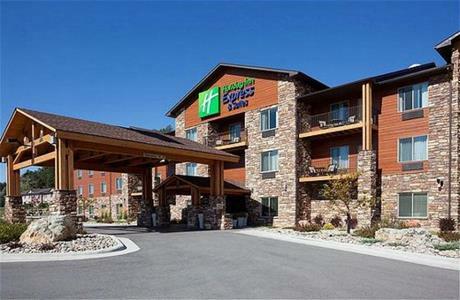 That’s why we are one of the few year-round hotels in Custer committed to delivering great hospitality all year long. 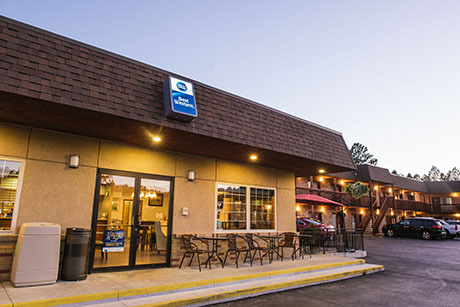 From Summer family vacations to Winter sports tournaments, Super 8 by Wyndham Custer brings you comfortable hospitality and affordable prices all year long. A stay at Super 8 Custer, we’re obsessed with the little things. We have everything You Need and everything you want out of a hotel stay. Join us every morning for our SuperStart Breakfast that includes hot waffles, fruit, hot coffee and more. Our Hotel is comfortably furnished with convenient amenities. And, during your stay, you will have access to free WiFi so you can share all your #storiesfromtheroad. Take time to re-energize at our hotel. Lounge by our indoor heated pool or soak in our hot tub. 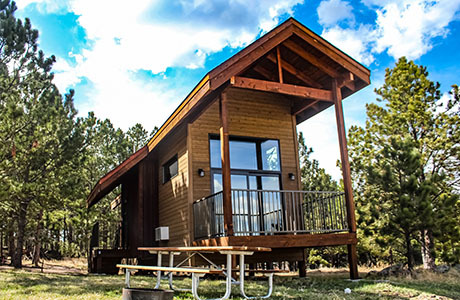 Open year round, we offer 2-room suites, King Jacuzzi. Suites, as well as accessible rooms for the comfort of all of our valued guests. We also pride ourselves for supporting our veterans year round with discounts and reserved parking. Book your wedding party, sports team, or other group travel at our hotel. Contact us to request information about special rates on blocks of rooms. Wherever you are in the world, the dream of the open road is the same—the wind in your hair, the sun on your face, and that feeling of freedom that can’t be matched. At Super 8, you’ve got a standing invitation to come in and experience it firsthand. Start planning your adventure today!